Estate Planning - Thomas & Henderson, P.C. 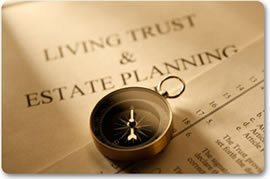 Estate planning is the comprehensive look at wills, trusts and powers of attorney. Whether you want to leave a legacy or protect your assets for your children, you should seek the advice of our experienced Grapevine estate planning attorneys. At Thomas & Henderson, P.C., we utilize more than 40 combined years of experience and our knowledge of a variety of complex estate planning tools to assist you in planning for your future and your legacy. We provide a relaxed environment and are committed to achieving your goals. We will take the time to listen to you, understand your goals, and provide you with your options, while outlining the benefits and limitations of various choices. Because your assets and situations change over time, your estate plan should be reviewed periodically. In addition, if you have added a family member, lost a family member, or obtained a divorce, you should have your estate plan re-examined. If you have questions regarding estate planning in Texas, contact the Law Offices of Thomas & Henderson, P.C., to schedule a free initial consultation. Reach us by calling 817-358-8900 or by completing the contact form on this website.